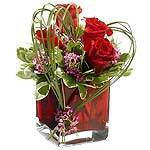 Product Description: Bring people you love, closer to you by gifting them this Special and Sweet Thoughts includes a Beautiful Heart of Bear Grass tied with Purple Wax Flower Blossoms forms a Heart that appears to float above the velvety Red Roses Bouquet arranged in a Ruby-Red Cube Vase that will create a magical spell of your lovely feelings upon them. 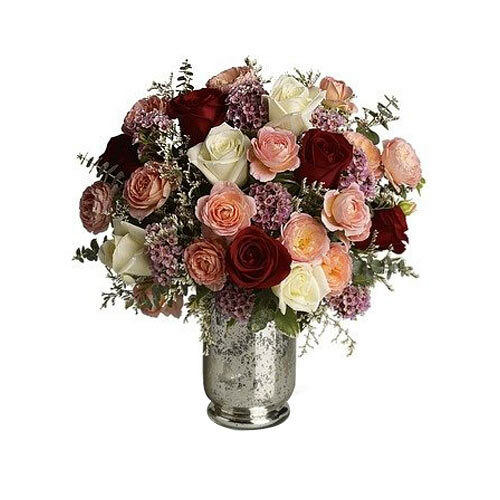 Order online for your loved ones this Tender Colorful Roses adorned in a Silver Mercury Glass Hurricane Vase that conveys how much you love them even if you remain silent. 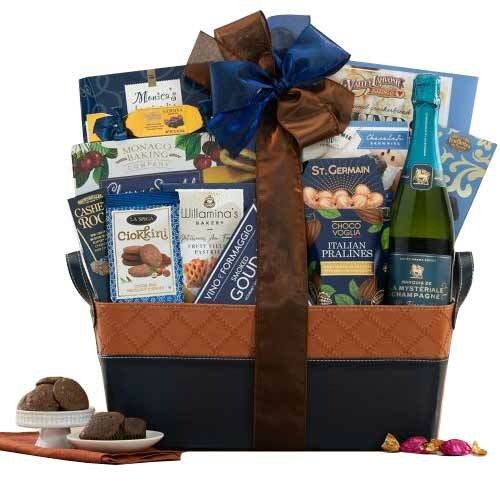 This assembly of Colorful Roses include Red Roses, White Roses and Coral Pink Roses. 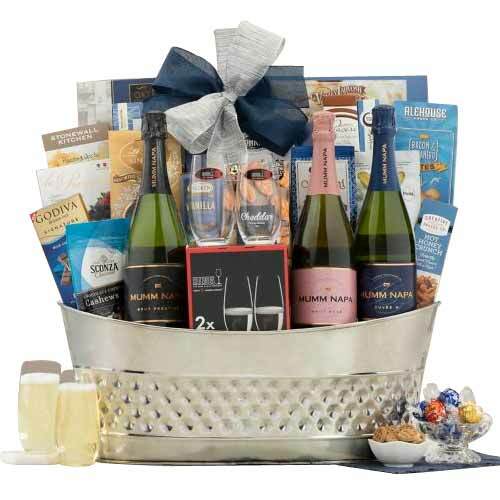 Gift someone close to your heart this Smooth Champagne Set and appreciate them of the special feelings that they have brought to your life. 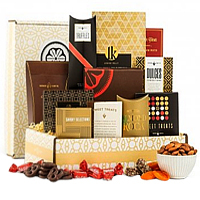 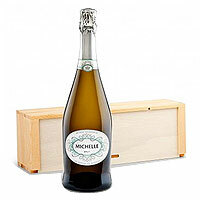 This Set is decked with a Bottle of Domaine St. Michelle Brut Cuvee Champagne in a sturdy Wooden Crate.